OptoScript is a programming language that can simplify some PAC Control programming tasks. OptoScript is an optional programming language that doesn't add new functions, but gives you an alternative to using standard PAC Control commands. 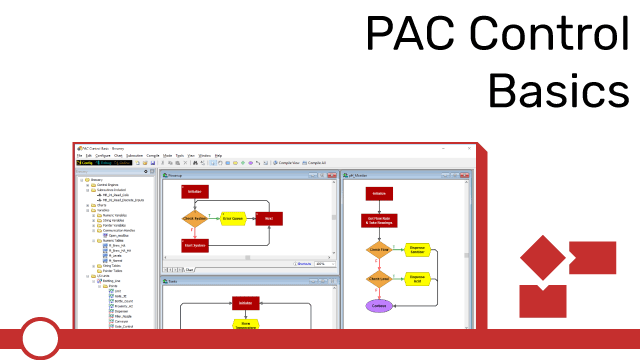 You’ll want to use OptoScript for some common programming tasks that can be more difficult, or more time consuming to do, when using standard PAC Control commands.